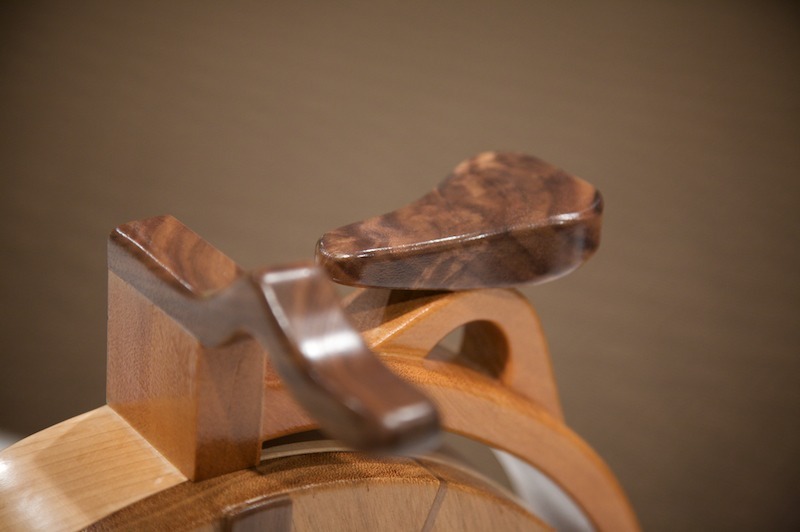 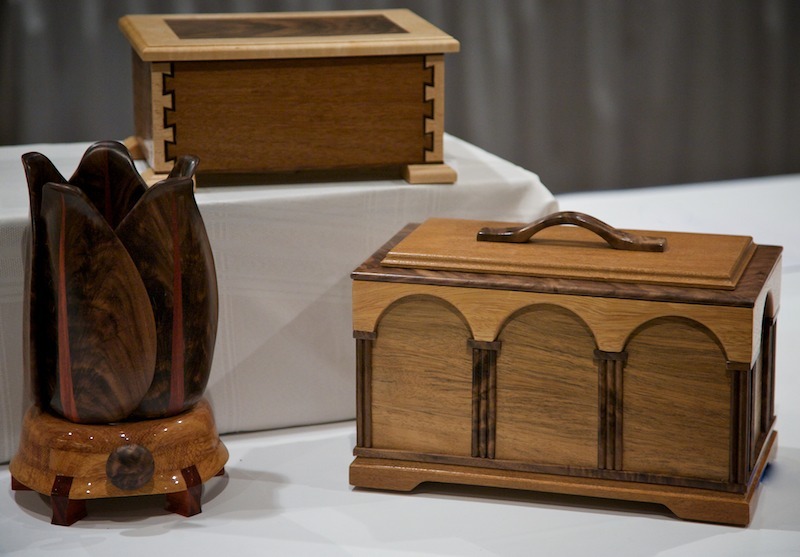 In November of 2009, the Arizona Association of Fine Woodworkers assembled in the warehouse at our Phoenix store for their monthly meeting. 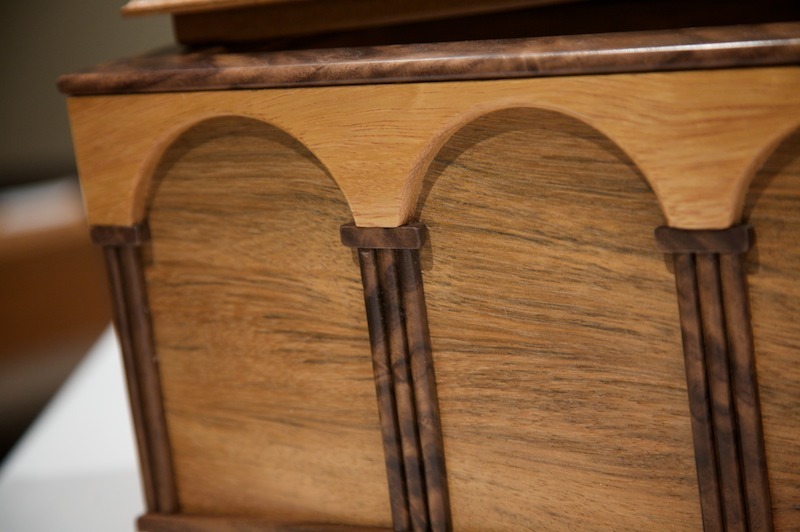 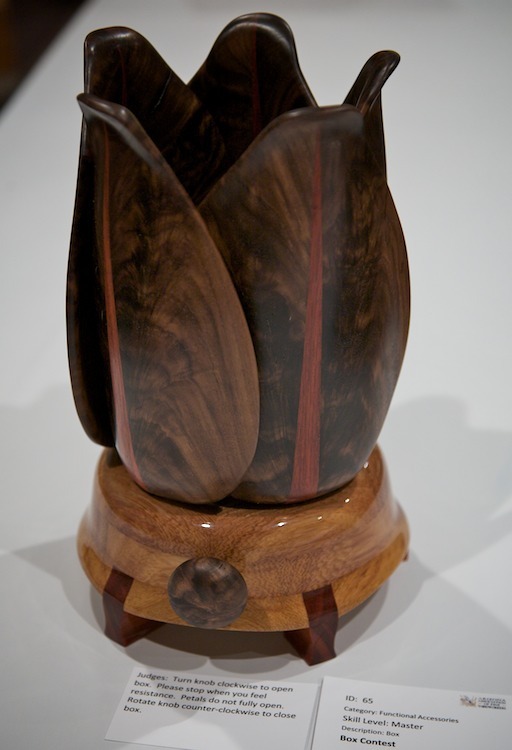 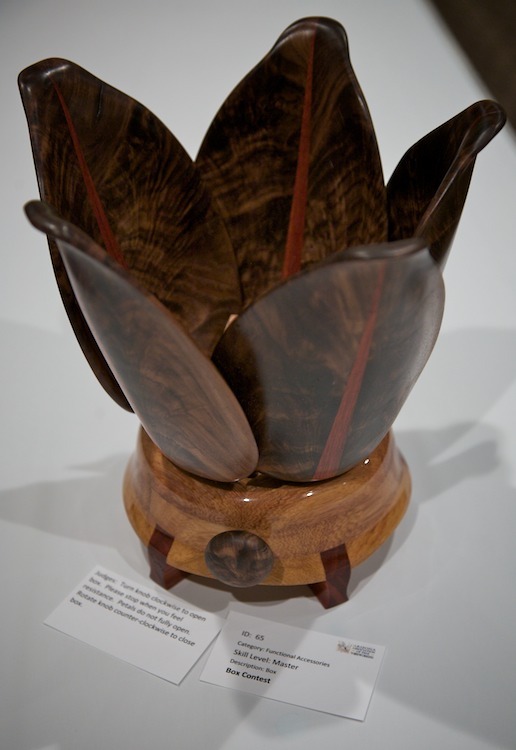 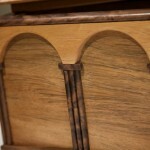 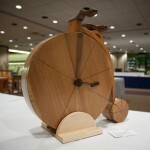 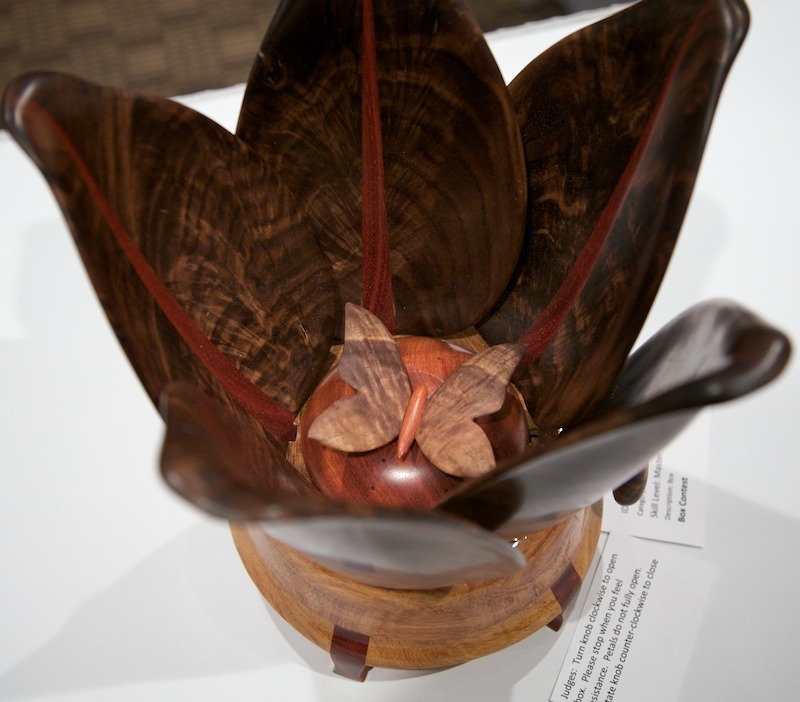 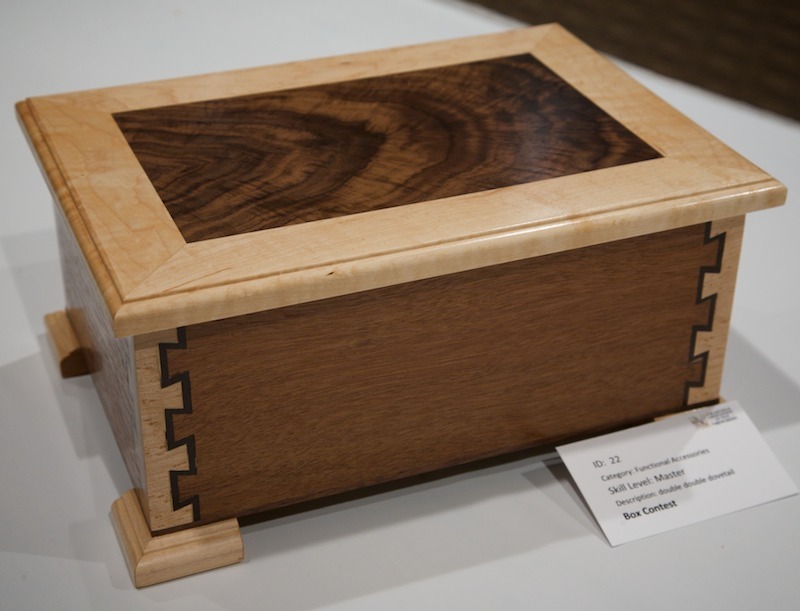 A number of them brought their latest finished projects; a bookcase, several turned bowls, fretwork, and more. 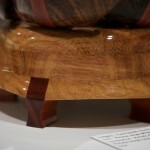 They discussed the woods they used, the challenges they encountered, and the techniques they learned. 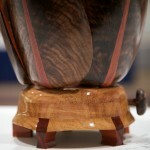 One of the members conducted a demonstration on how to weave and apply chair caning. 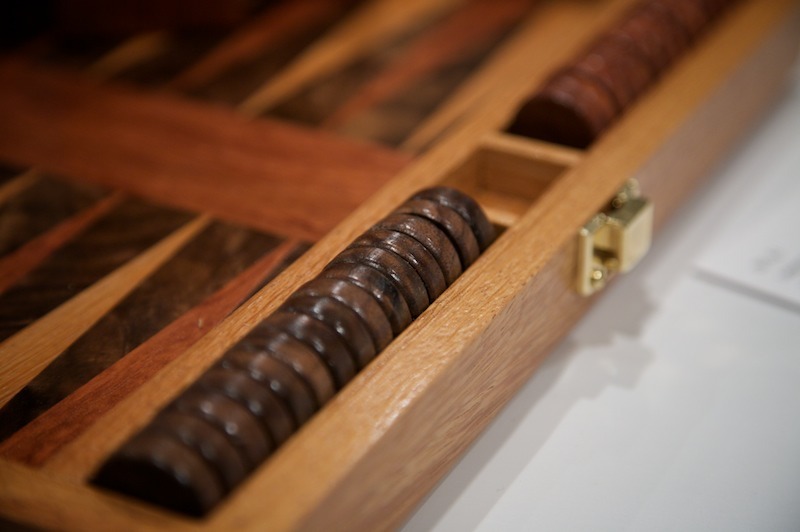 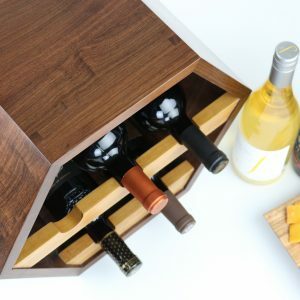 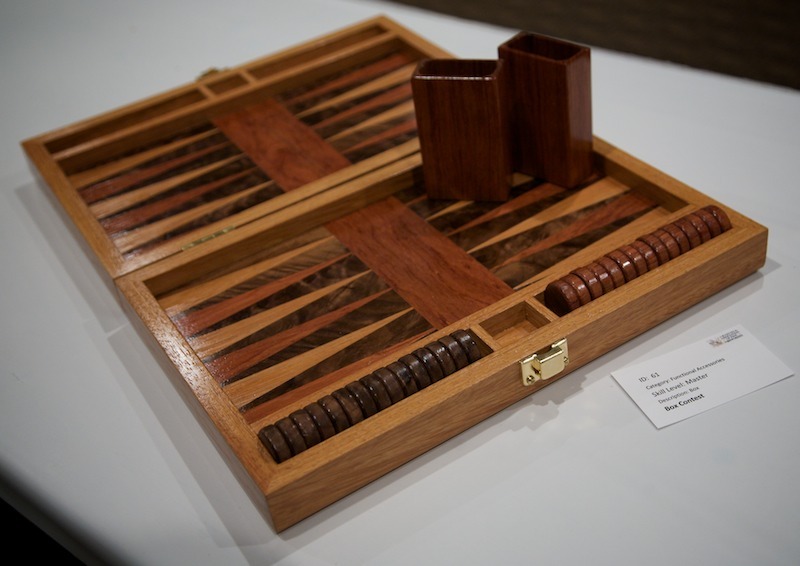 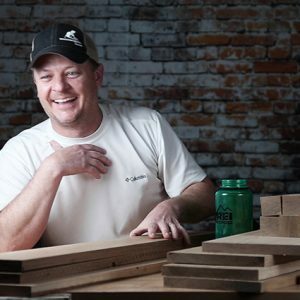 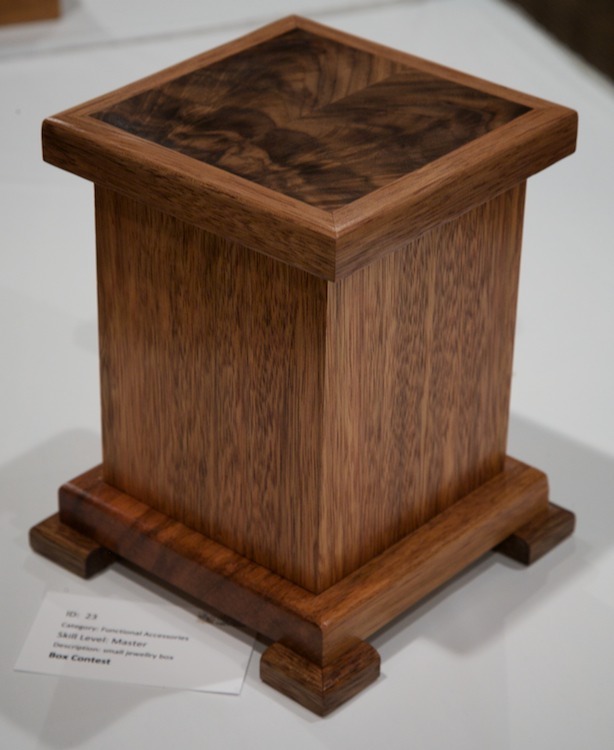 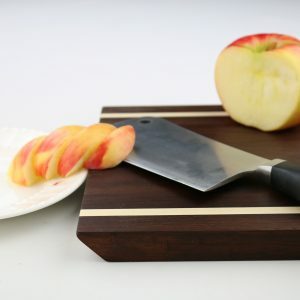 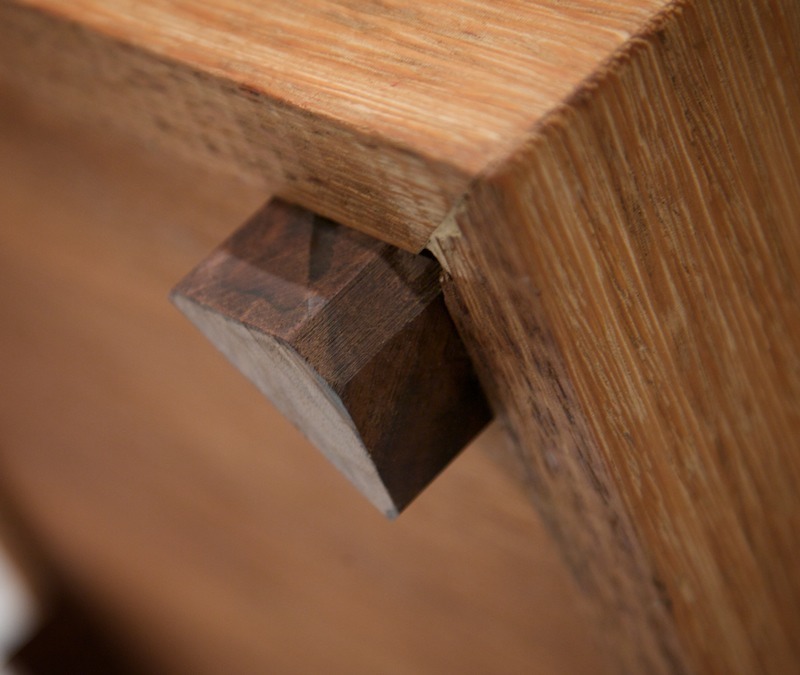 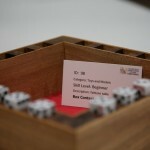 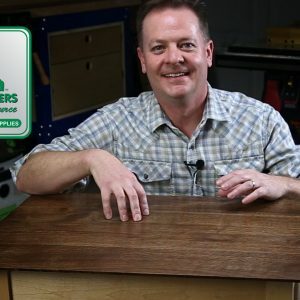 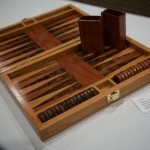 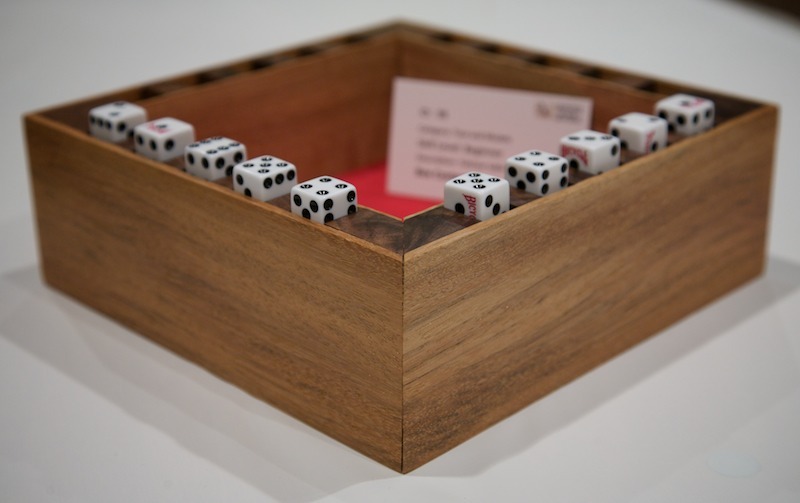 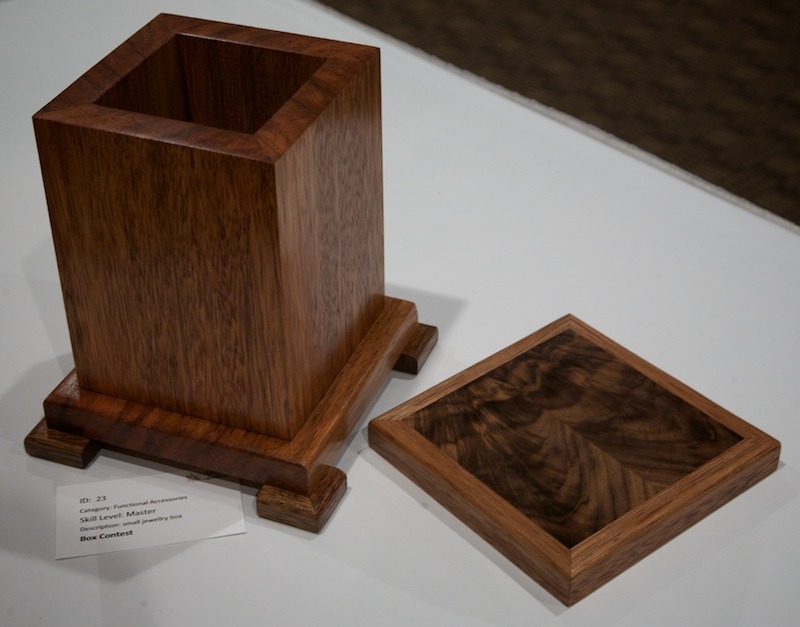 Then I presented them with another challenge, a box making contest using a selected package of materials of 3 pieces of exotic Huayruro, 3 pieces of figured walnut blocks, and a 15″x15″ piece of Baltic birch. 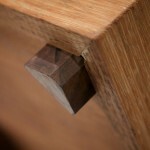 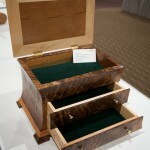 Each woodworker could add to the materials, but each of these had to be used in the box somewhere. 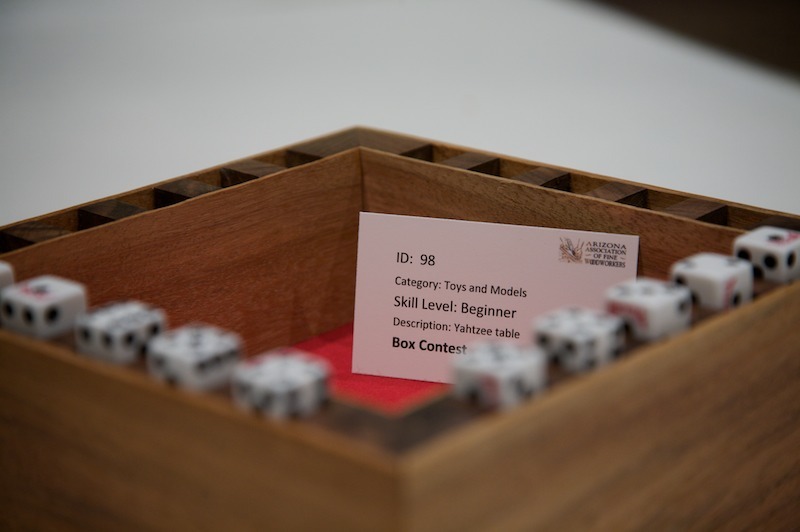 As you will see, selecting only 3 winners wasn’t easy. 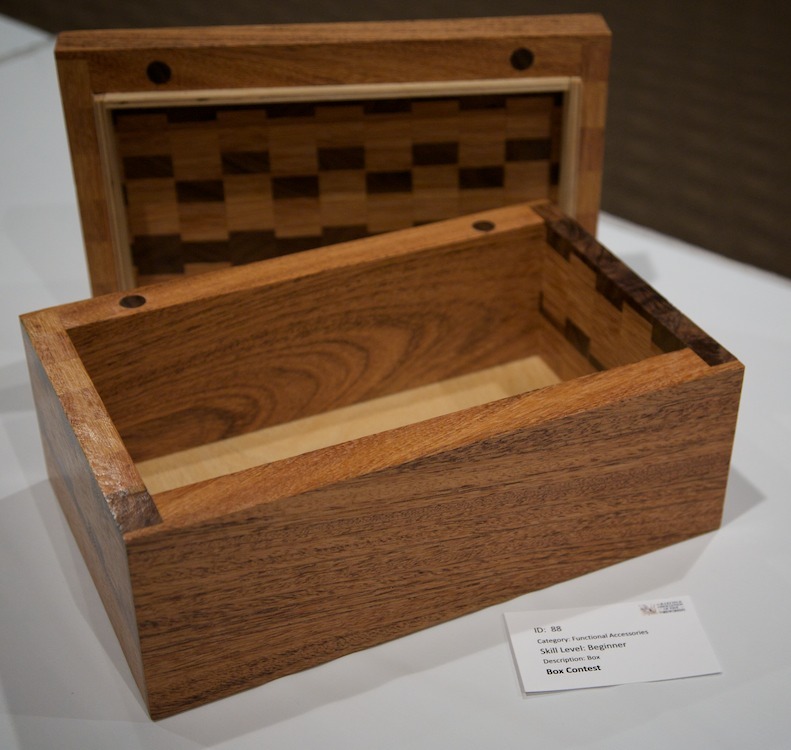 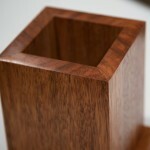 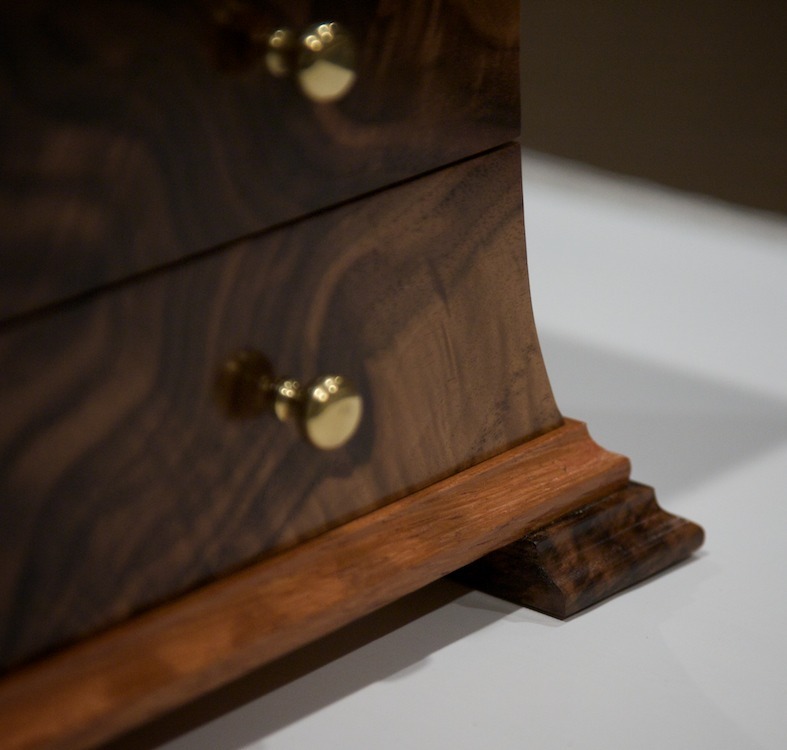 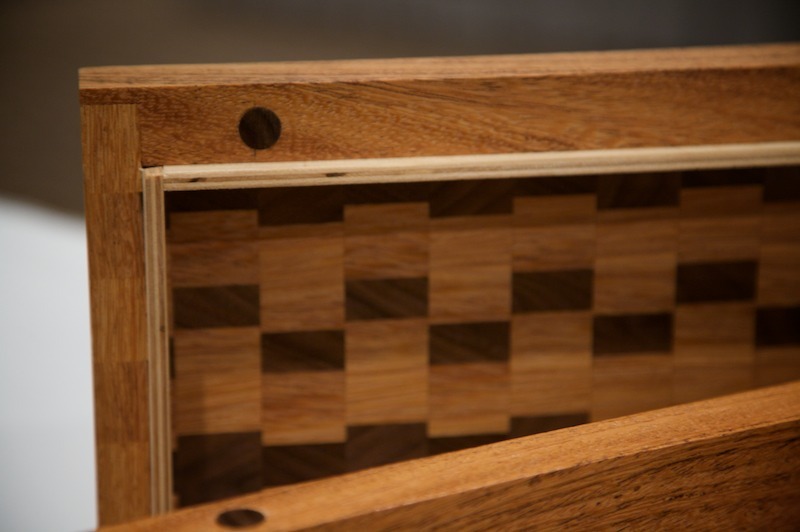 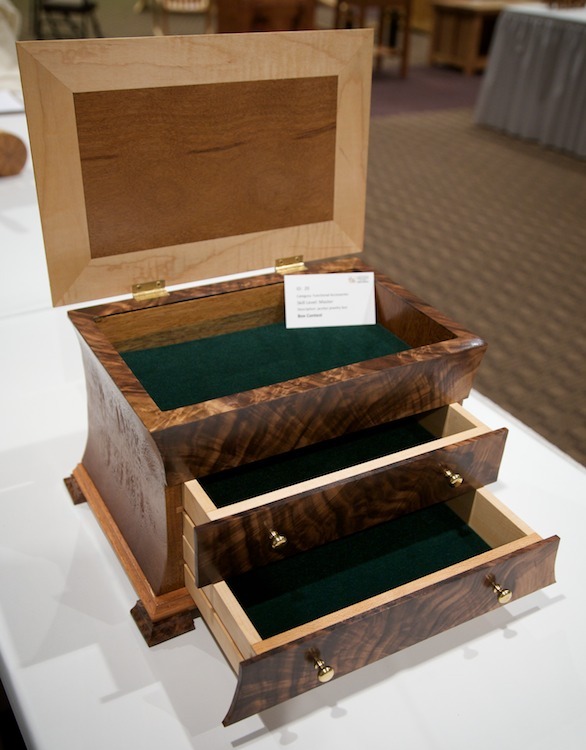 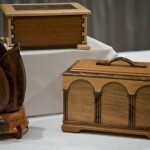 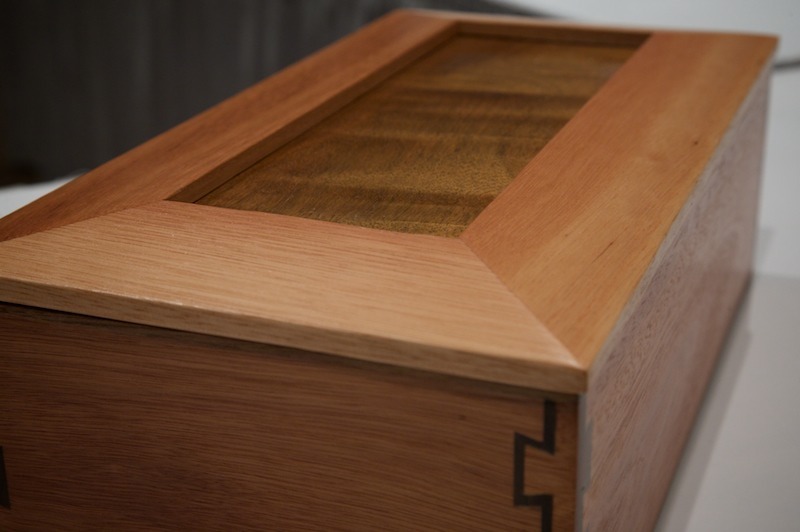 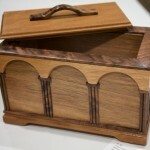 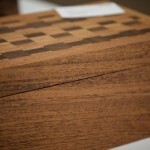 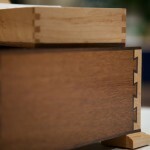 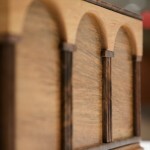 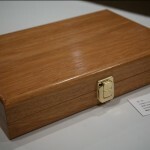 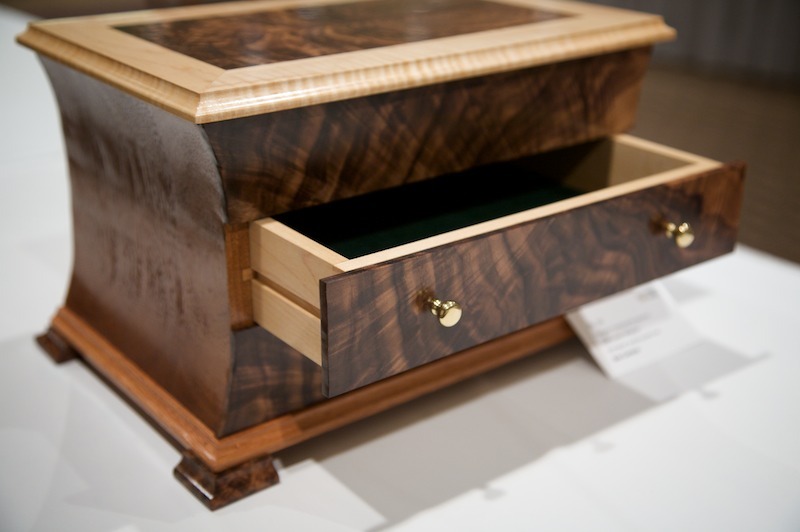 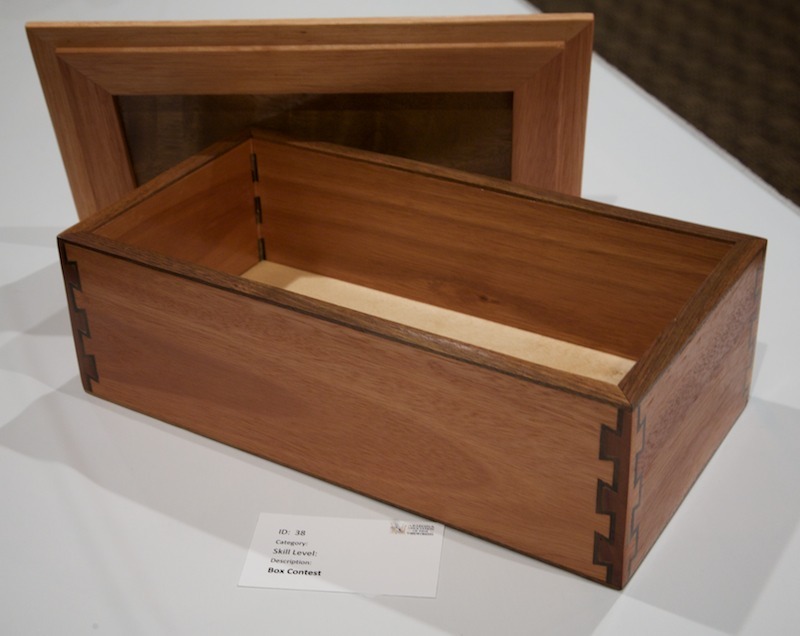 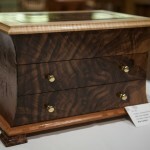 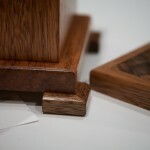 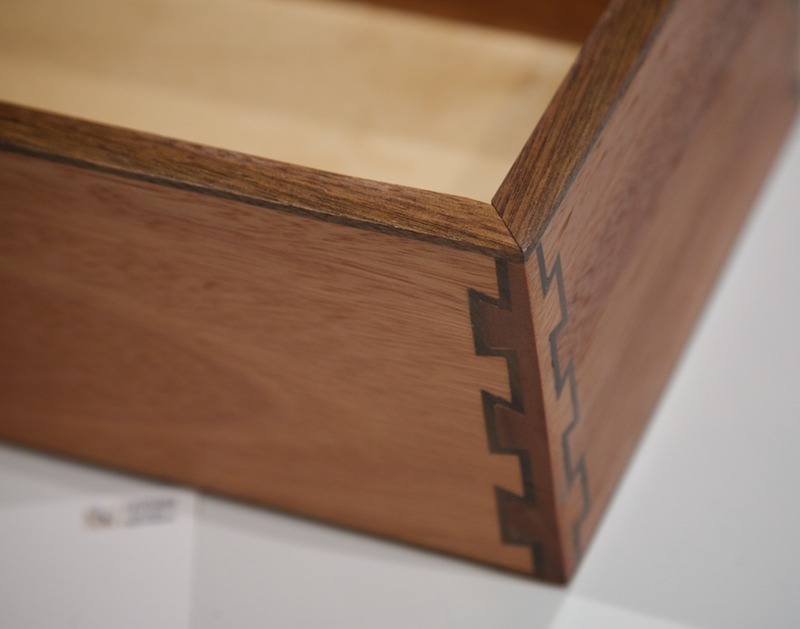 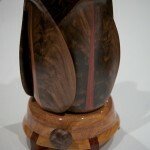 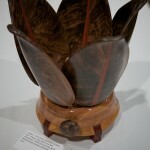 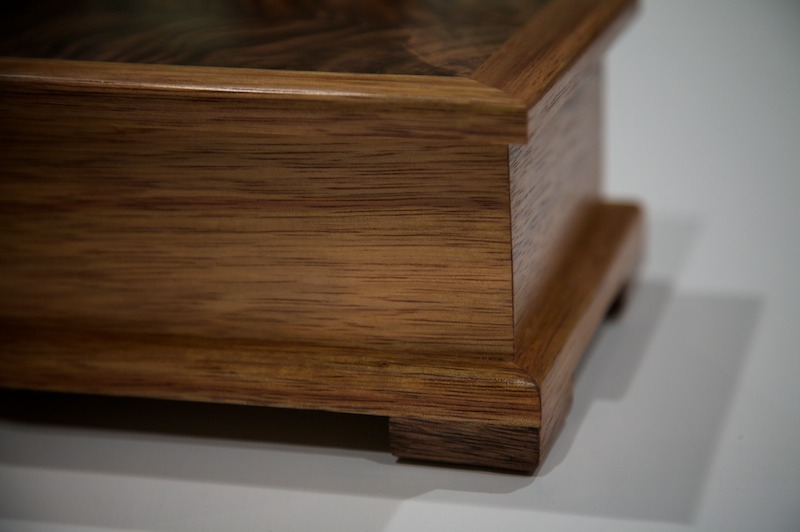 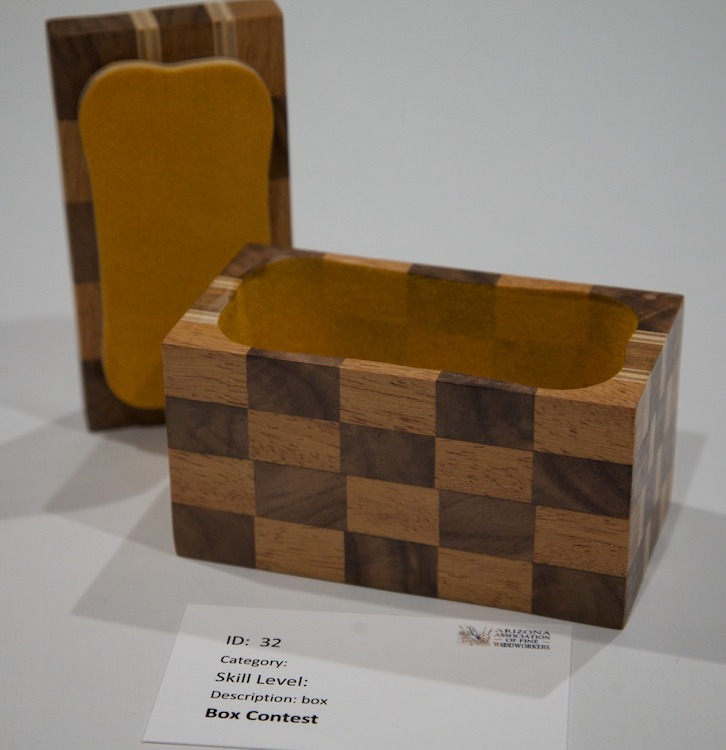 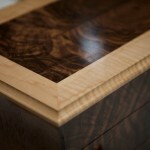 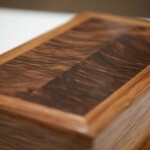 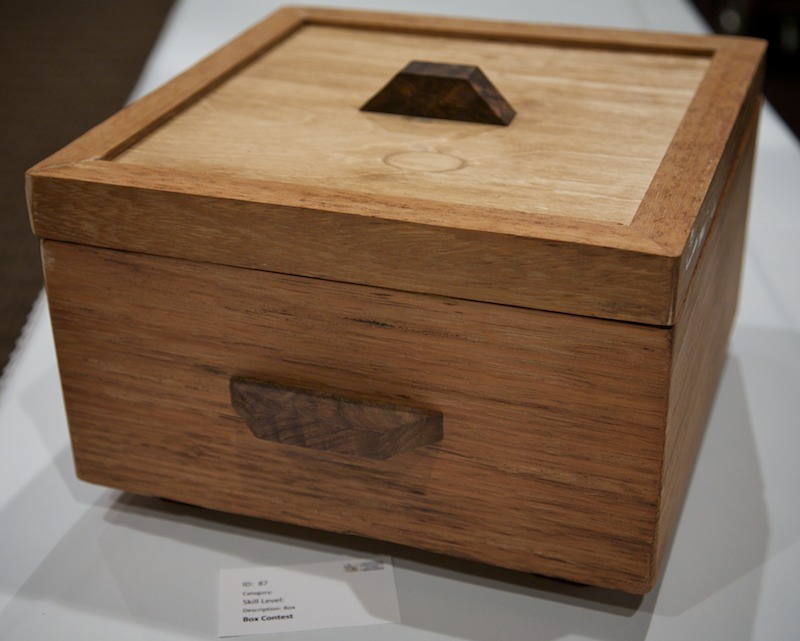 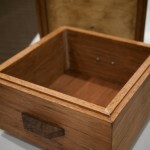 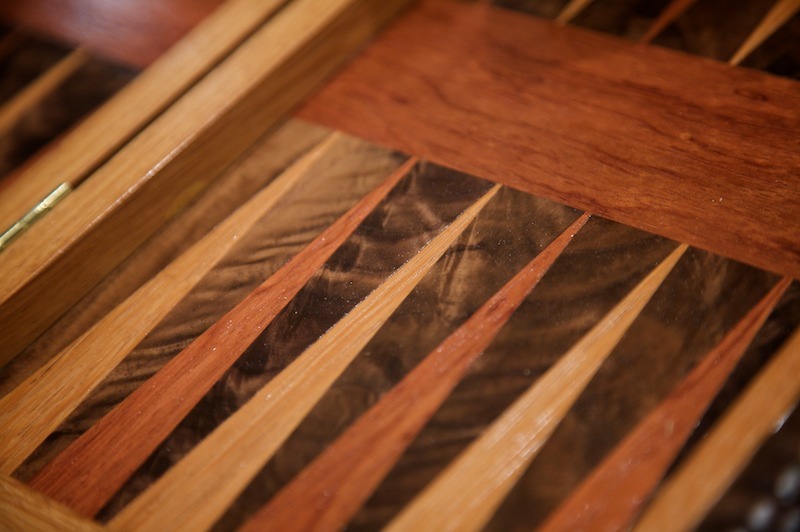 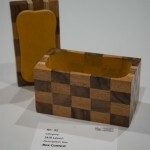 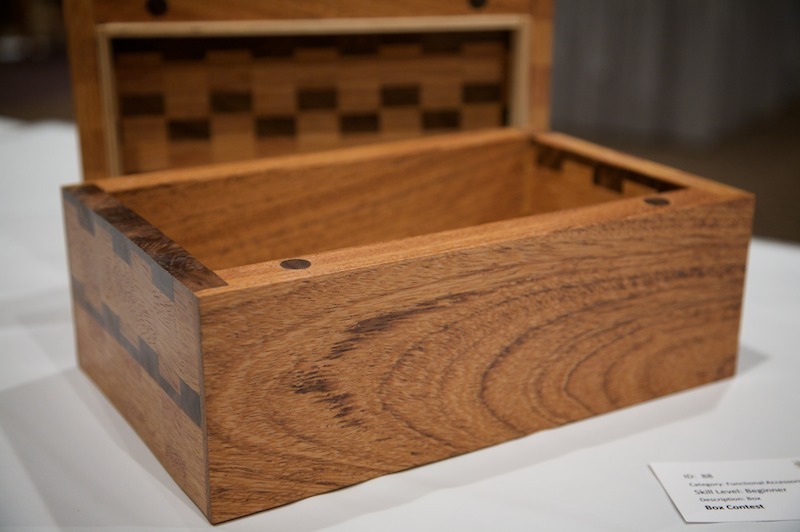 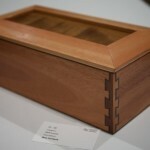 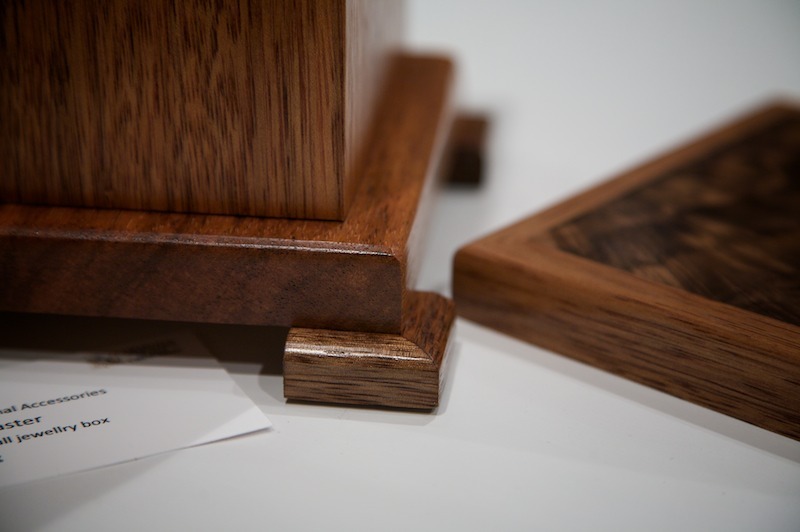 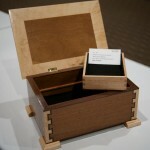 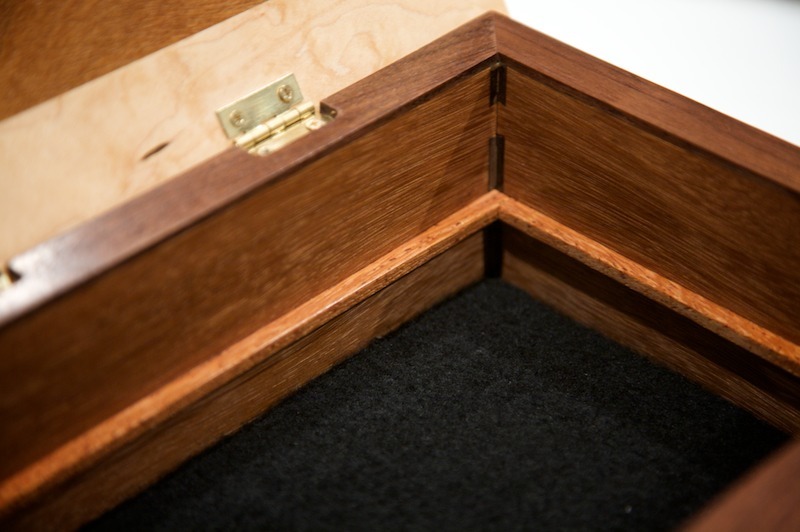 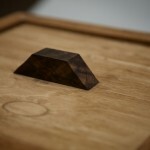 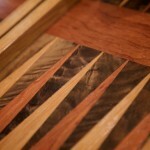 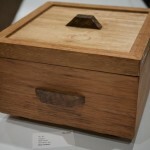 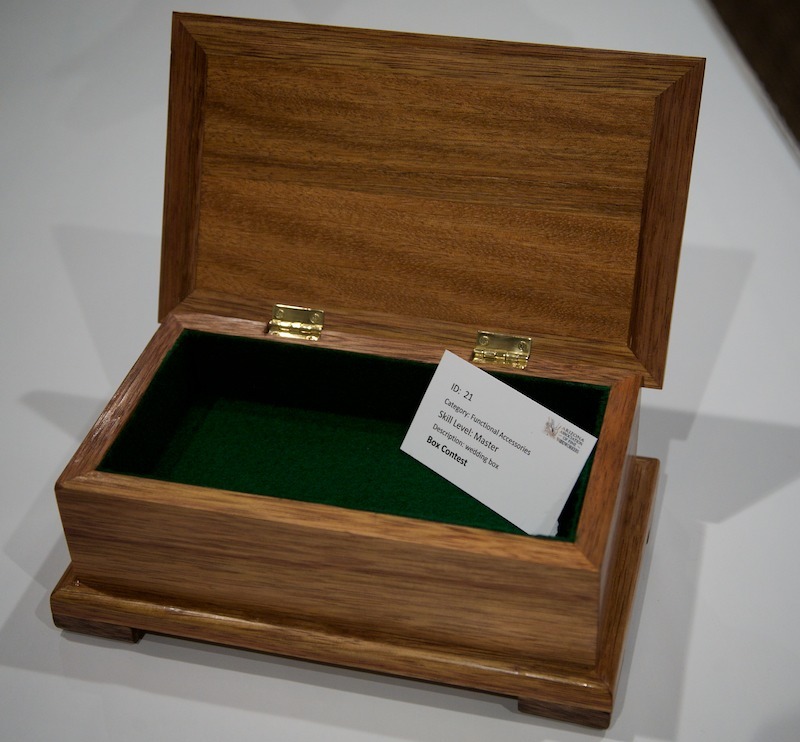 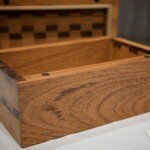 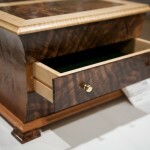 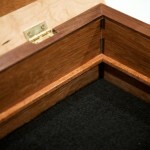 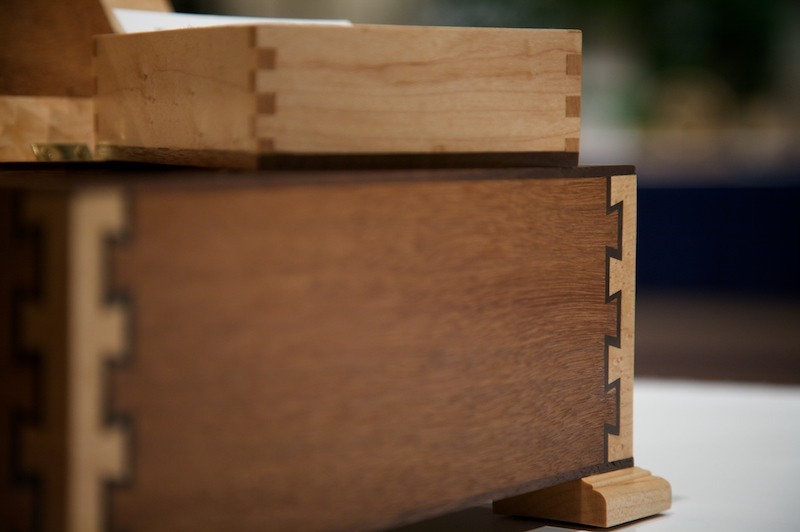 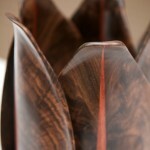 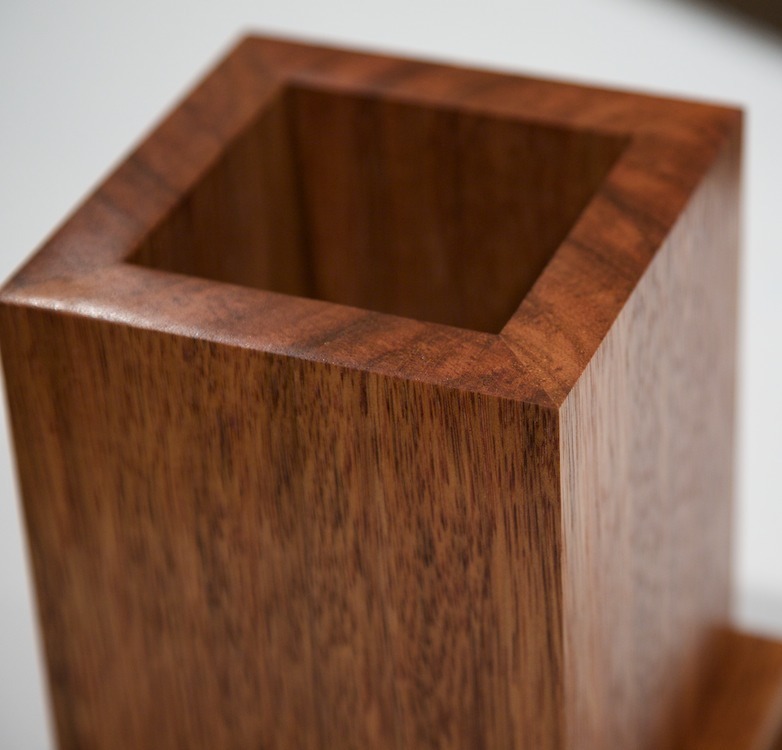 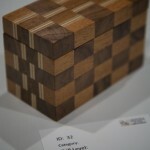 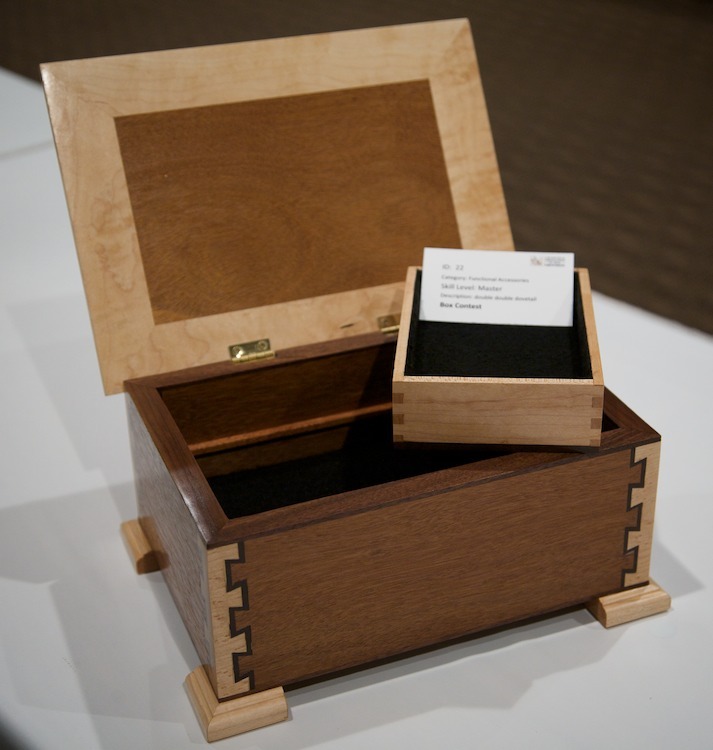 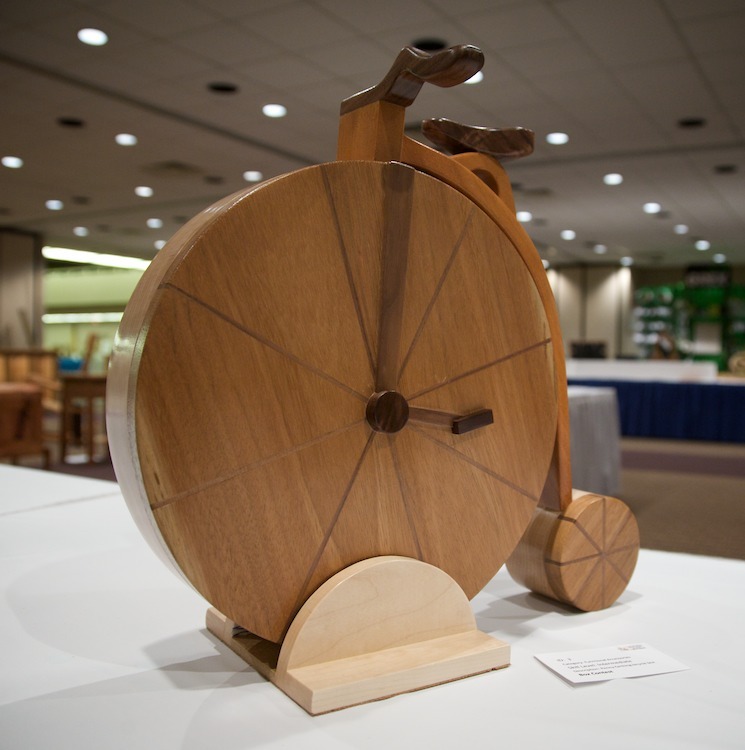 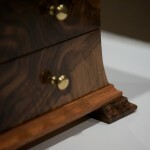 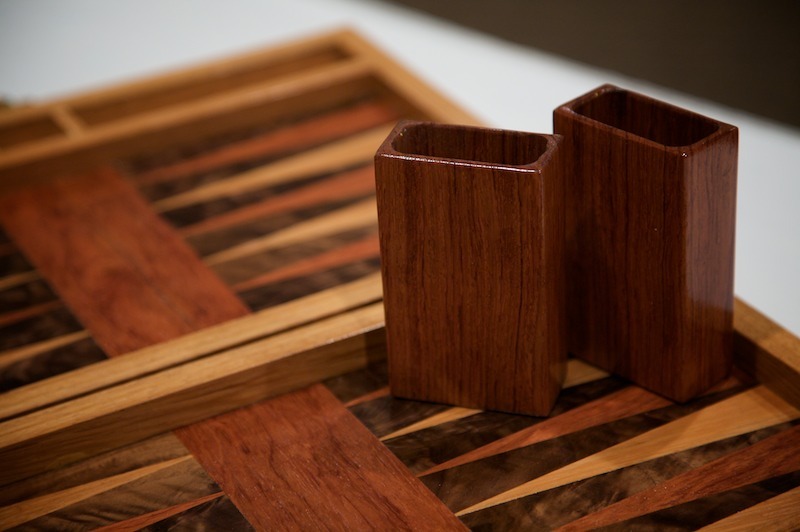 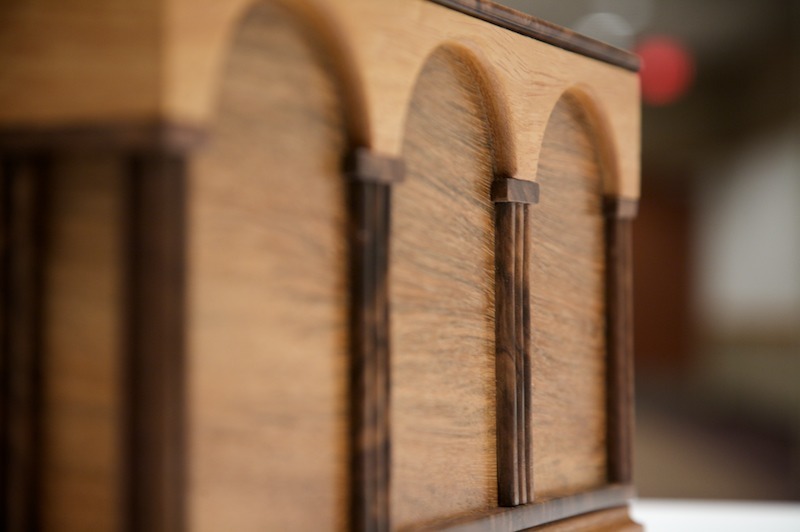 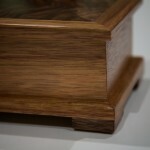 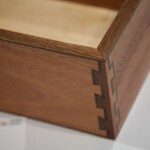 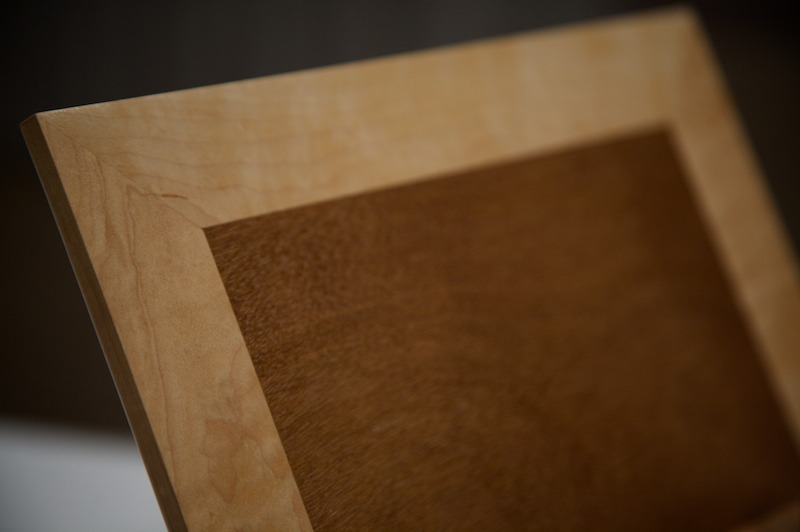 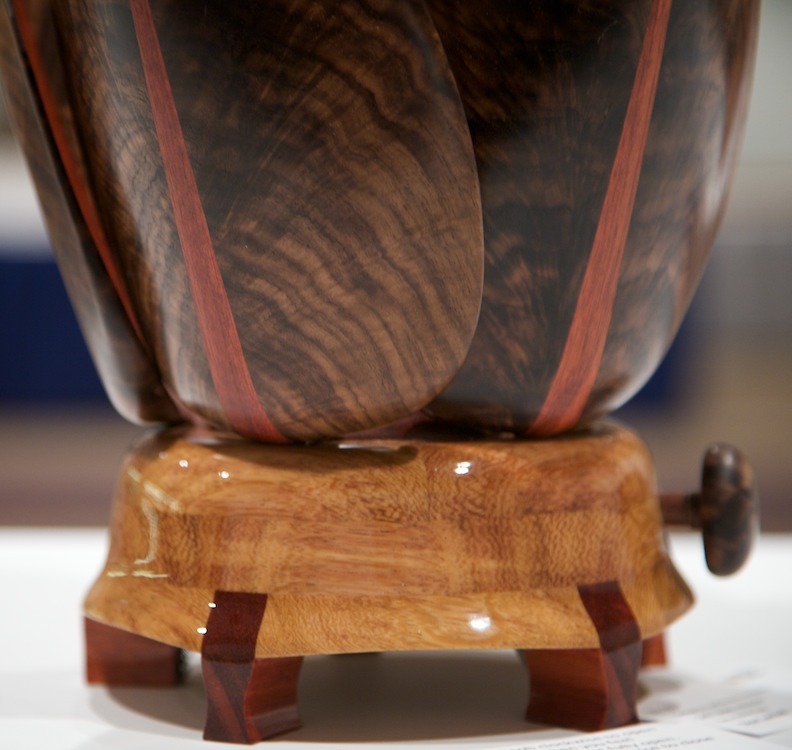 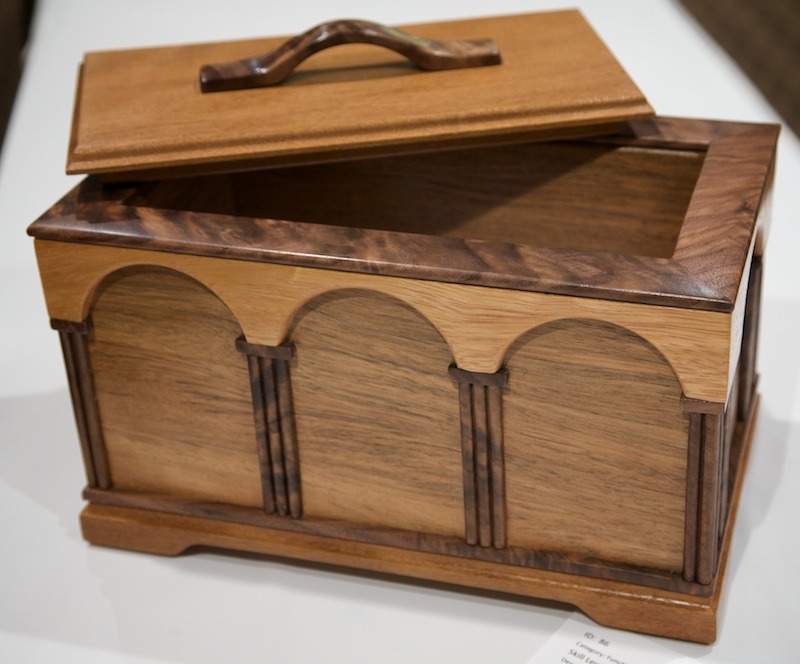 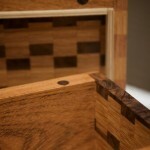 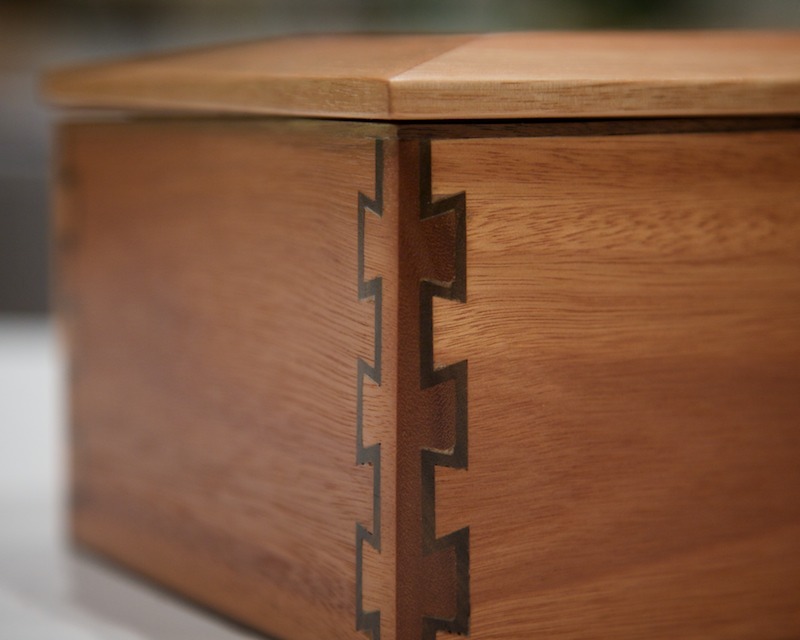 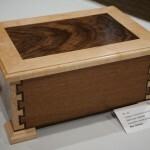 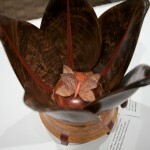 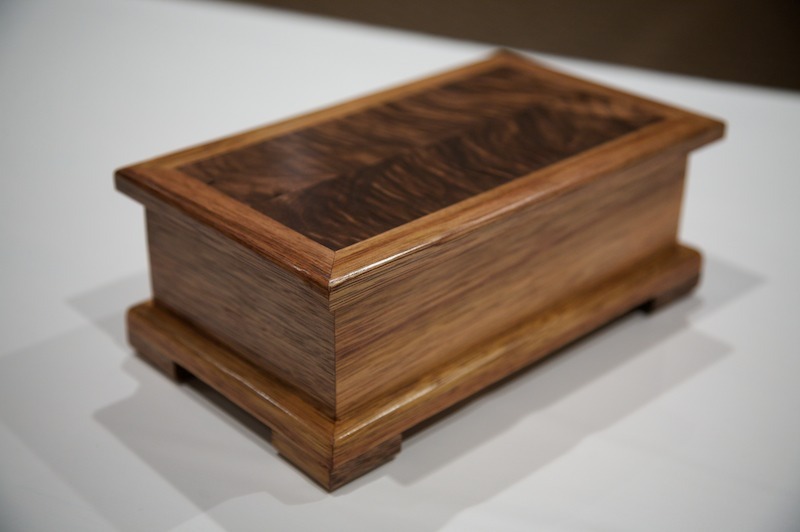 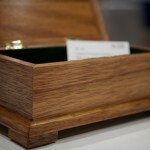 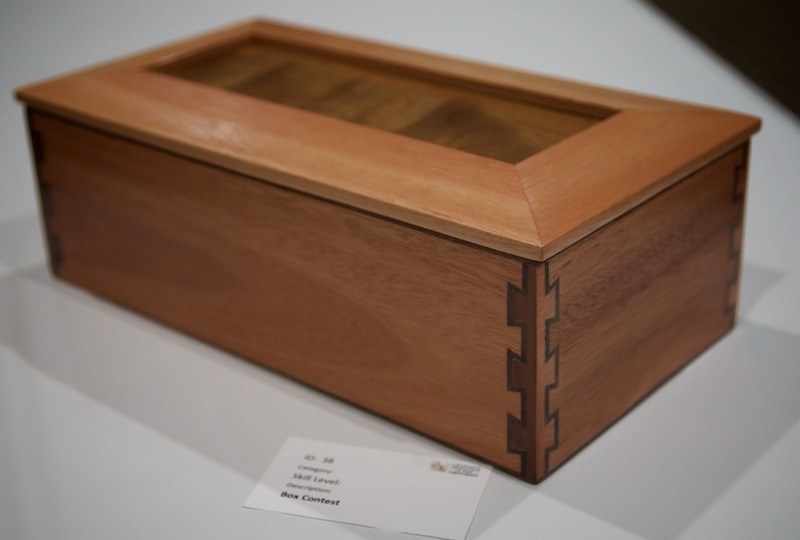 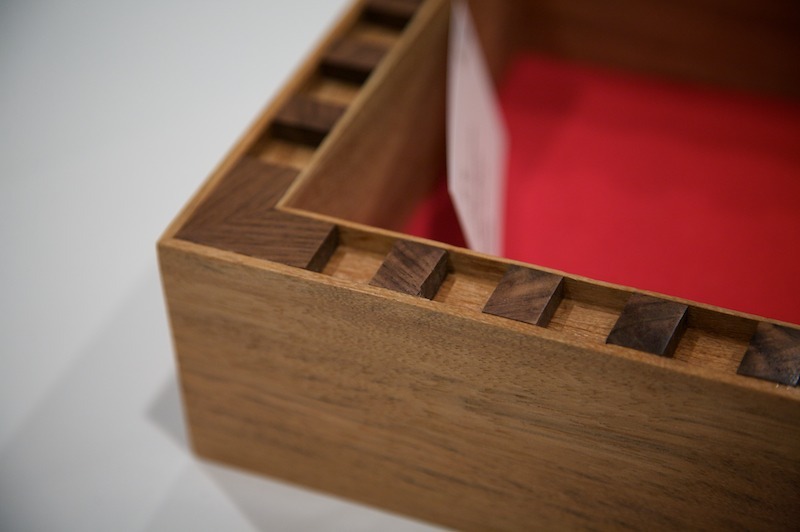 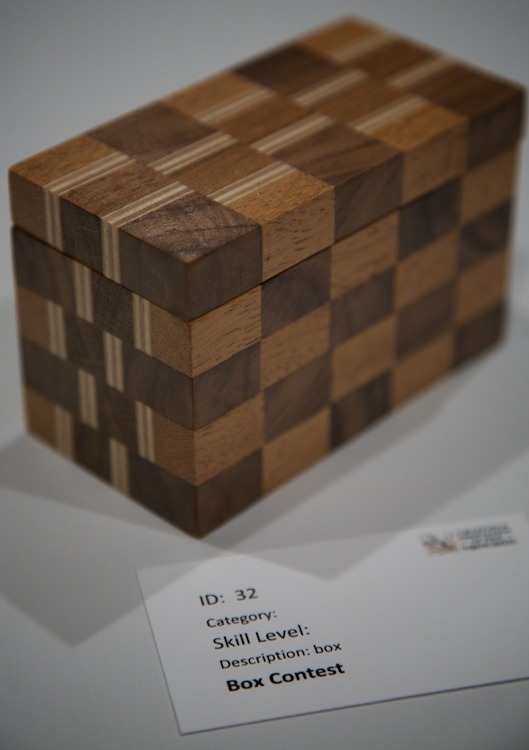 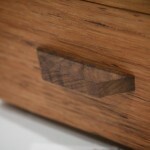 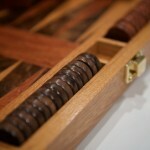 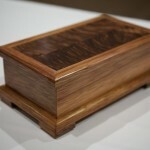 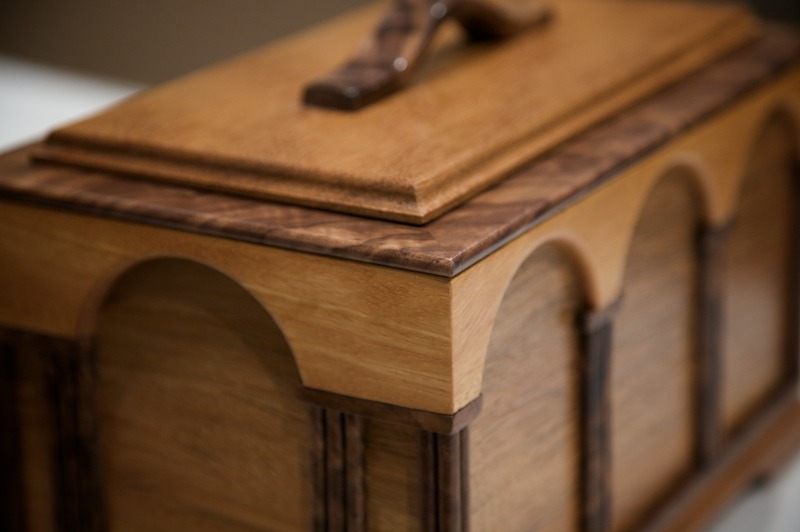 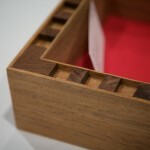 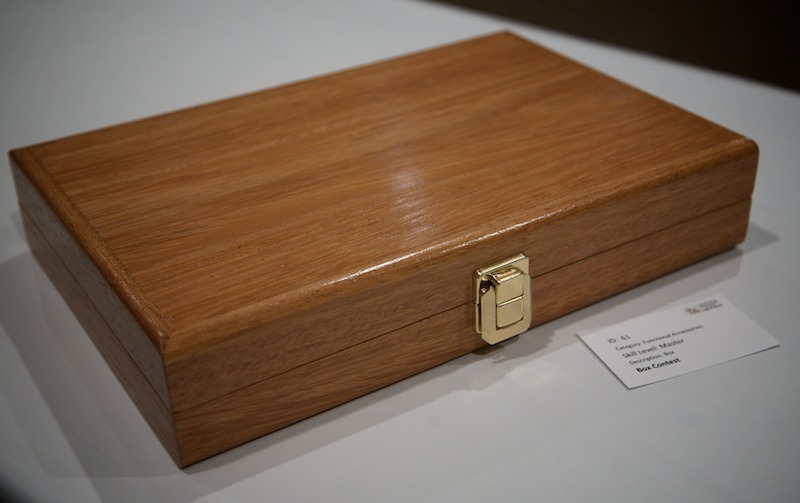 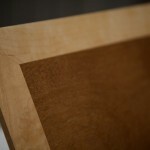 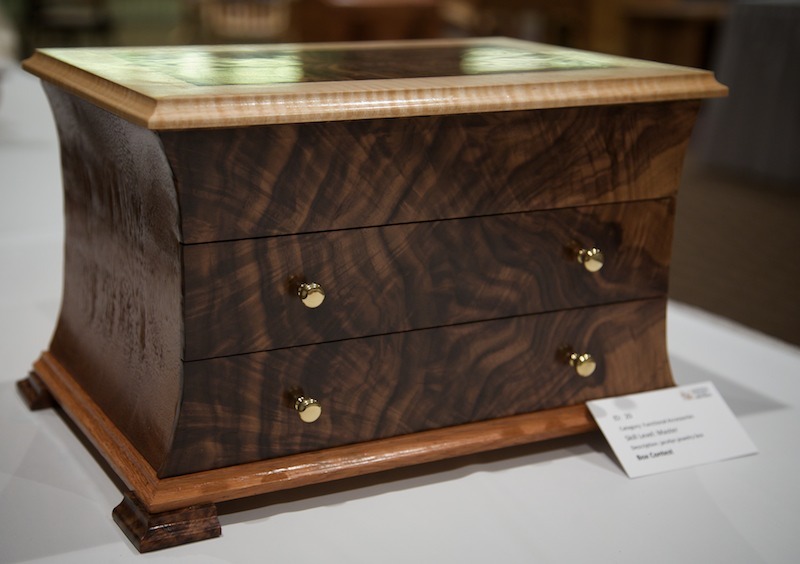 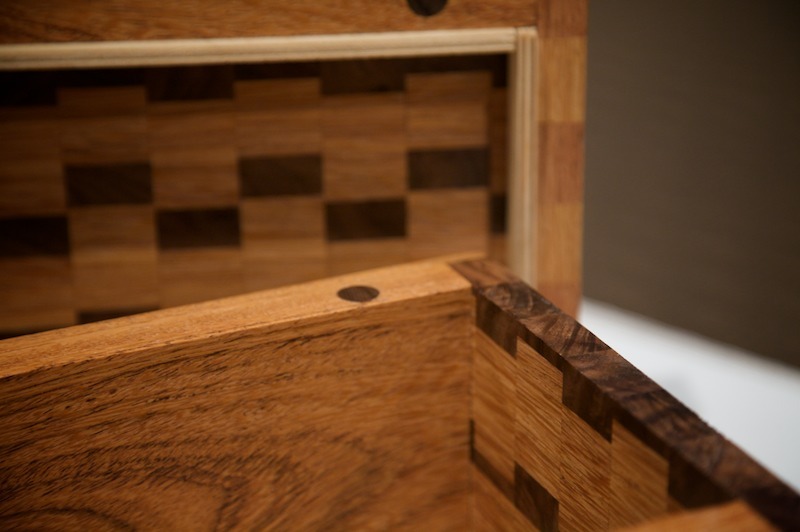 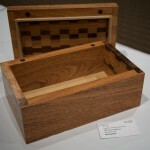 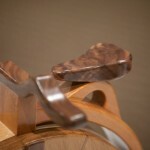 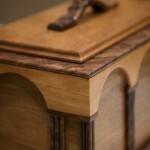 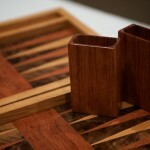 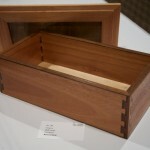 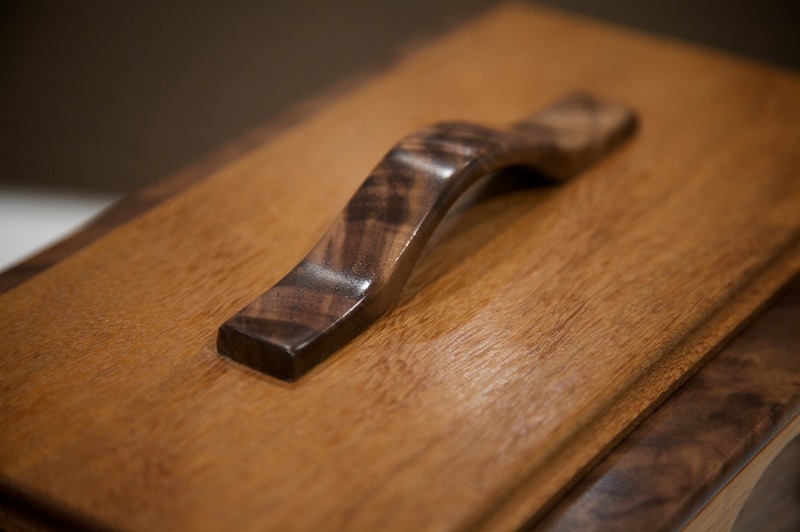 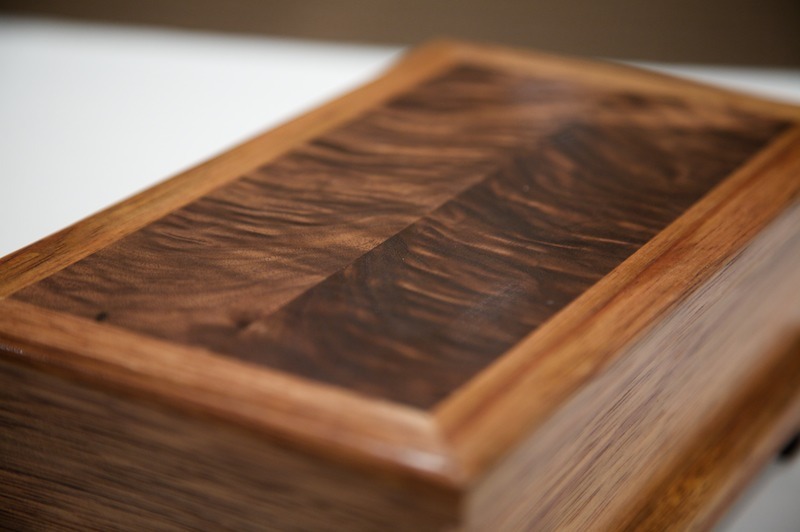 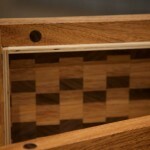 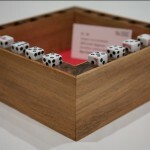 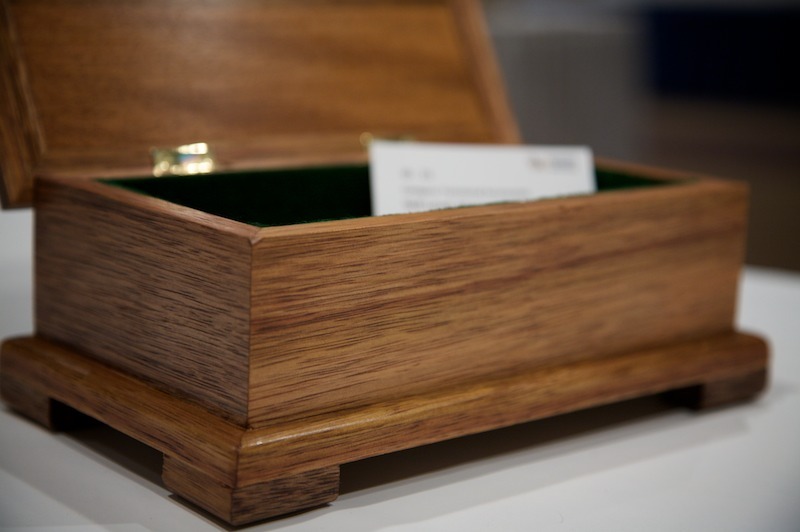 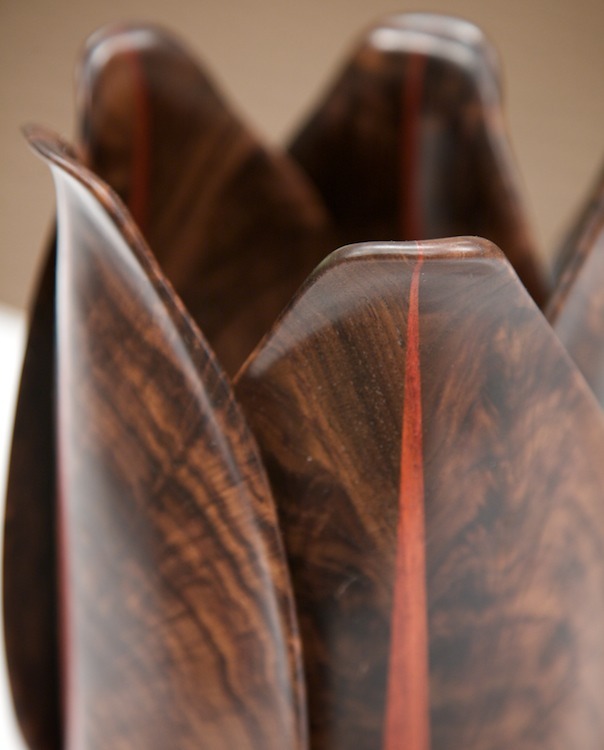 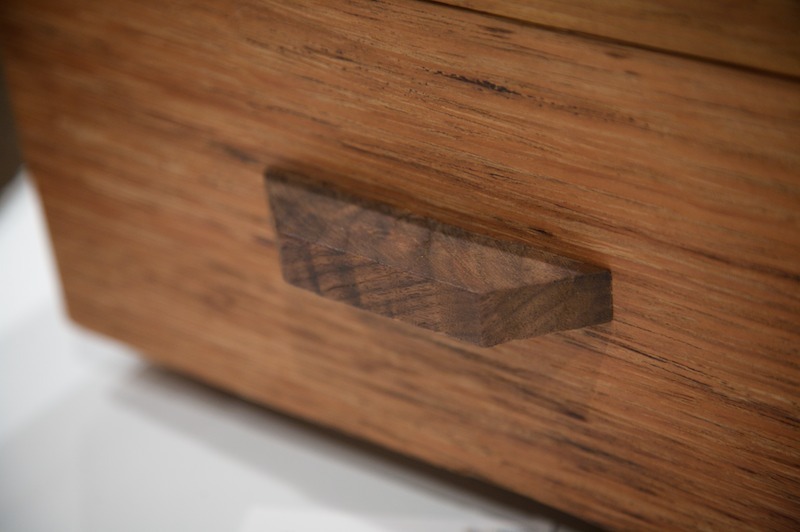 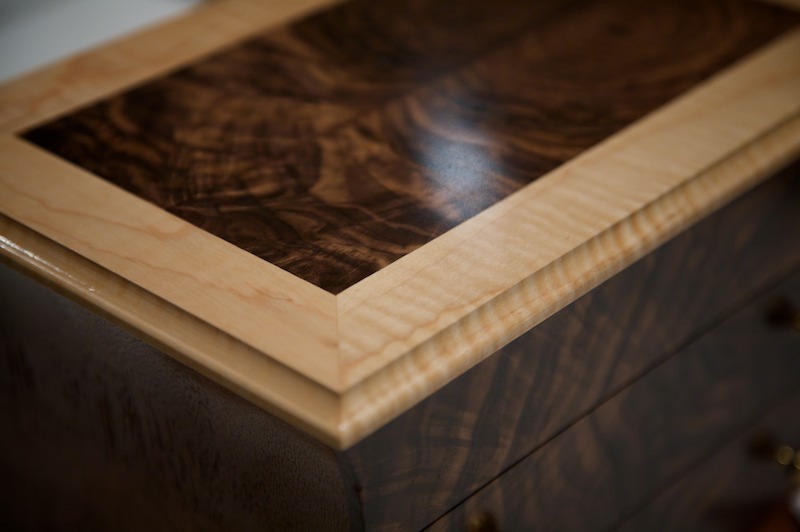 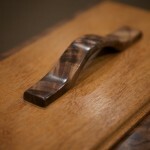 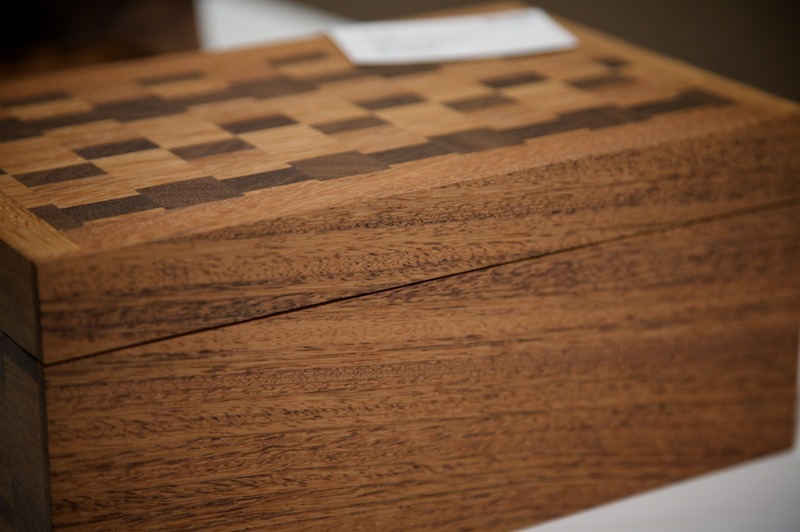 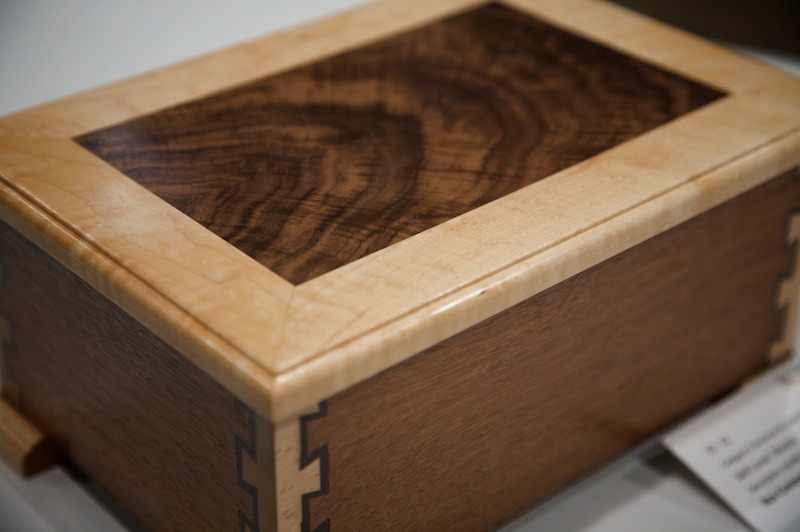 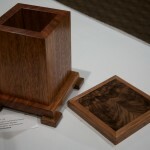 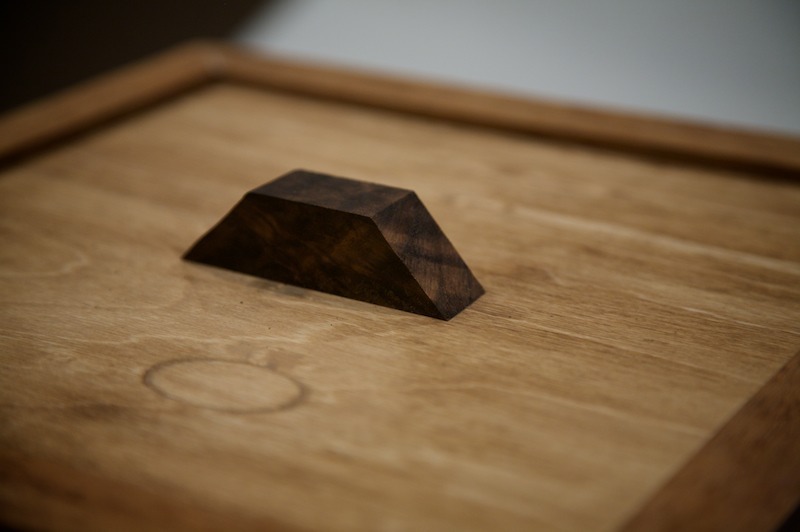 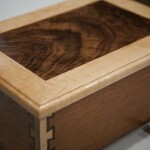 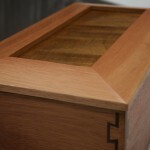 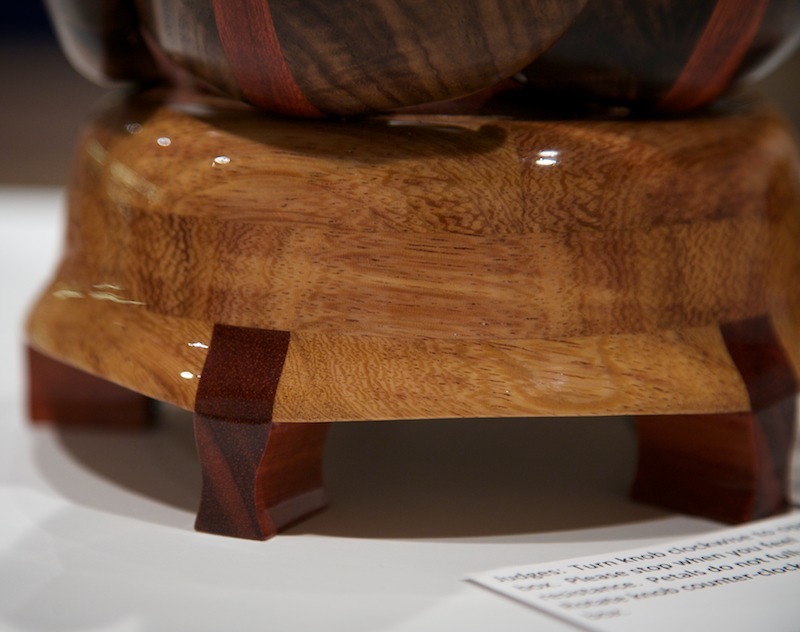 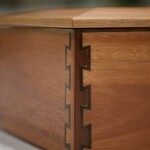 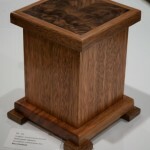 These woodworkers pushed their skills and the definition of “box.” Beautiful boxes, all of them. 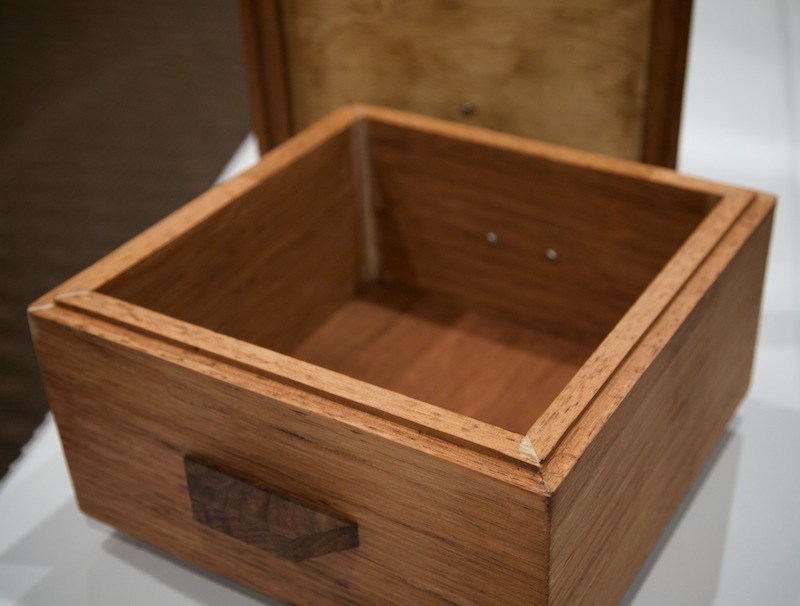 Oh look… there’s something inside too! 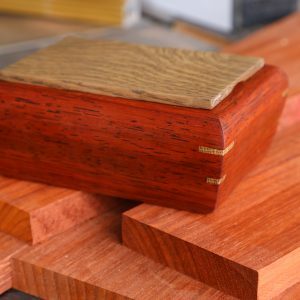 Unique and original design, yes?